Nicholas Homestead, Somerville Road, Howick. Nicholas Homestead, off Somerville Road. Fencible John and Ann Nicholas lived here after moving from "Normangarth". Demolished in 1920 when when power reticulation was too costly and demolition and reconstruction in Nicholas Rd was cheaper. Site marked by Kauri trees near dip in Somerville Road. 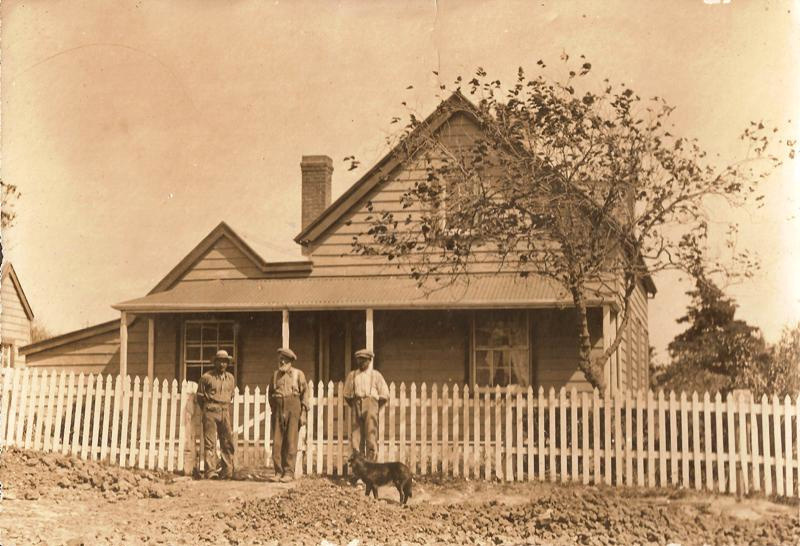 On older picture: Mr Nicholas and his two sons in front of the house. On newer picture: A man and women on the terrace. Possibly John and Ann Nicholas. 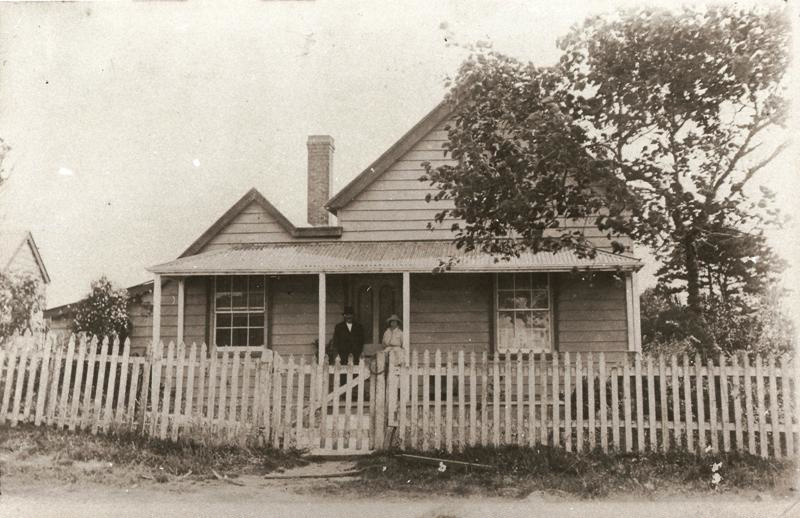 See photograph 11012 for the rebuilt Nicholas Homestead, Nicholas Road, which was built from the timber of this house. Nicholas related to Somervilles by marrige. The building was situated off Somerville Road till 1920. Older picture:196 x 243mm including mounting. 109 x 157mm for print only.